Low Dose Naltrexone: The Next Miracle Drug? 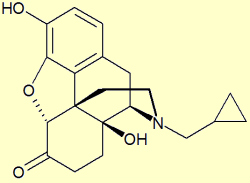 Naltrexone is the generic name for a drug, approved by the FDA in 1984, used to treat alcohol and opioid addiction. Opioids are generally pain-management agents such as morphine, codeine, oxycodone, and fentanyl. Opioids also include heroin and methadone, as well as our own naturally occurring endorphins.The first study of LDN published in a US-based medical journal would come in 2007, with Dr. Jill Smith’s article in the Low-dose naltrexone therapy improves active Crohn’s disease” (e-published in January, print published in April). Smith and her team found that 67% of the patients went into remission and fully 89% showed some therapeutic benefit. This encouraging work led to an NIH grant and a Phase II placebo-controlled clinical trial, currently in progress. In September, 2008, results were published for a Phase II clinical trial in Italy in which LDN was used to combat multiple sclerosis (MS). Again, the results were highly promising. Since MS is thought to result from an autoimmune process whereby T cells mistake myelin—the coating around nerve cell fibers in the brain and spinal chord—for a foreign invader and attack it, many assumed that MS was the consequence of an overactive immune response. These results, though, would argue against that theory. LDN is inexpensive with virtually no harmful side effects. However, since it is no longer a proprietary drug, the pace of rolling out clinical trials for the off-label effects described in this article will probably be slow, as will its acceptance by mainstream medicine. Still, there is nothing to prevent a patient from taking an FDA approved drug for an off-label indication, and this practice goes on all the time.